How Would You Spend $5.8 Billion? and click below to make your voice heard. 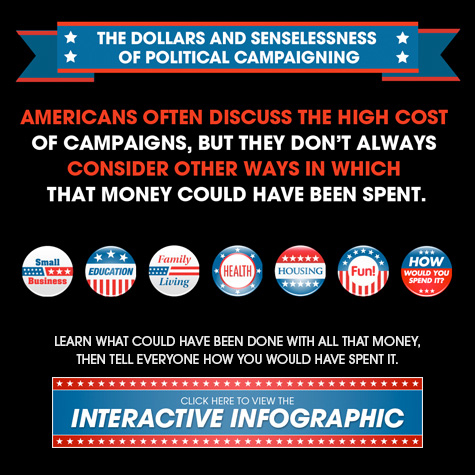 $5.8 billion will be spent on the 2012 political campaigns. Here's how I would've spent that money. Want to see what else could have been done with that money? WHO DO YOU WANT TO SEE THIS?